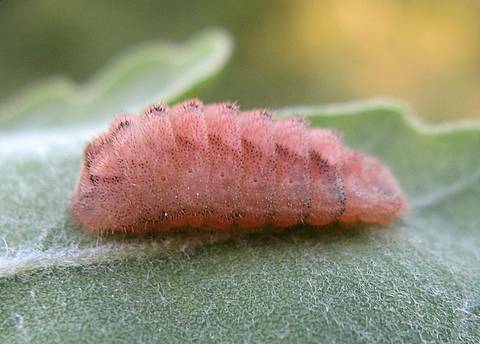 The eggs are laid at the base of oak buds. The hole on the side is where a parasite emerged. 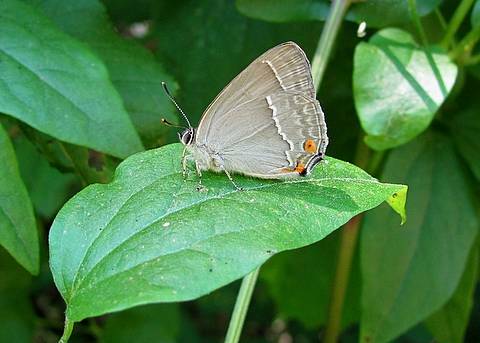 Butterflies are very low down in the food chain! 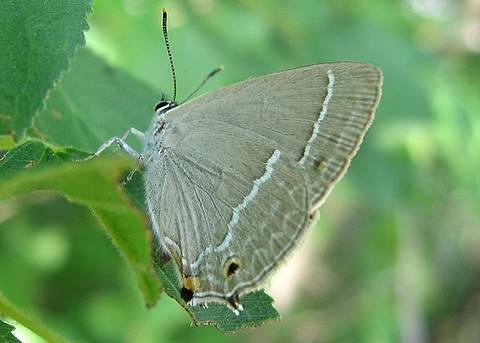 The Purple Hairstreak is a common species but is regularly overlooked. 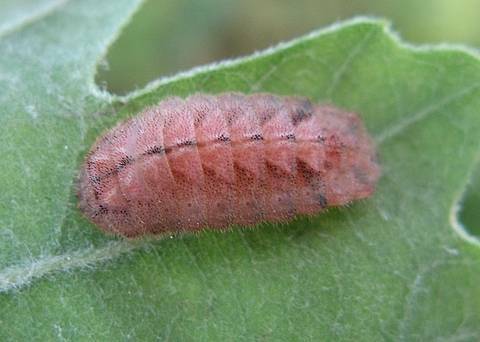 It spends much of its time in the tops of trees, mostly oak (the larval host plant) though it may rest in ash or other nearby trees too, where it remains relatively inactive for much of the day. 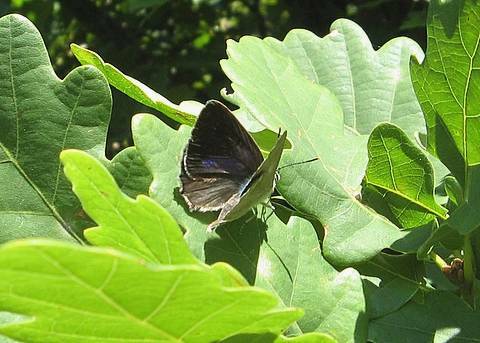 However, in the early morning and late evening sunshine the butterflies really get moving! 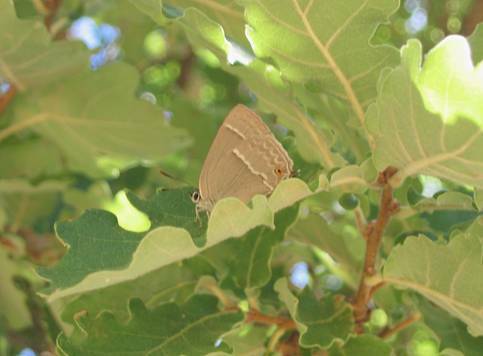 It is sufficent to gaze patiently up into the topmost braches of nearby oaks and numerous little, grey (the underside colour shows in flight) butterflies may be observed flitting to and fro in little aerial disputes. They seem not to like the strong heat of the day and may be found skulking in the shade down at bush level on a stifling summer's day. 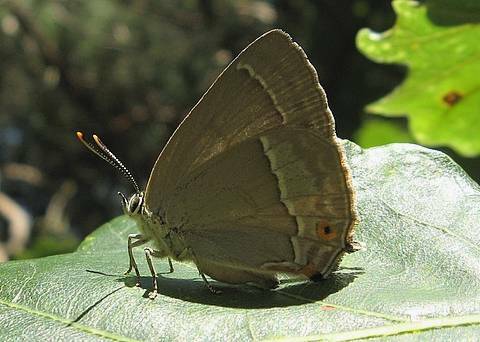 Sometimes the butterflies bask with wings open but they are usually seen with wings closed. 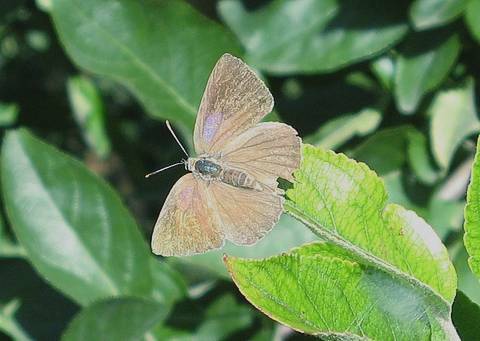 The species is seen mostly from late June to August.